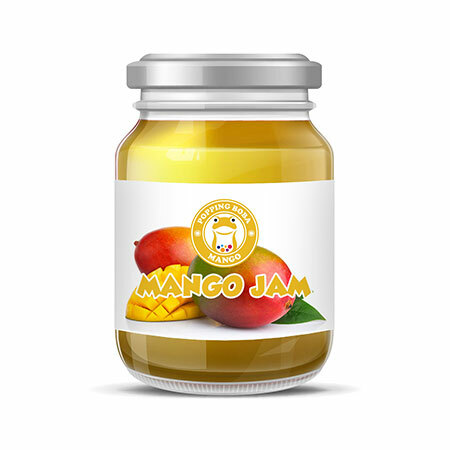 Sunnysyrup Food Co., Ltd. specializes in manufacturer, supplier and exporter the business of Mango Jam. Located in Taiwan, we enjoy convenient access to major transportation networks. Our company covers an area of 5km and has around 100 staff members. Furthermore, all our products are manufactured with advanced equipment and strict QC procedures in order to ensure high quality. Guaranteeing stable and timely supply, credible quality and sincere service, our products sell well in both domestic and overseas markets. If you are interested in any of our products, or wish to place a customized order, please contact us now, We will do our best to meet your needs. surely there are many applications of it. Sunnysyrup's Mango Jam has pulps and fiber, it's good as topping for snow ice products. Mango Jam contains real passion fruit seeds, with strong fruit fragnance and highly condensed, it suitable for ice series or to go with Mango Flavor Conc. Juice to make drinks with seeds.